PAT HATCH ANTIQUES, Harvard, Mass. 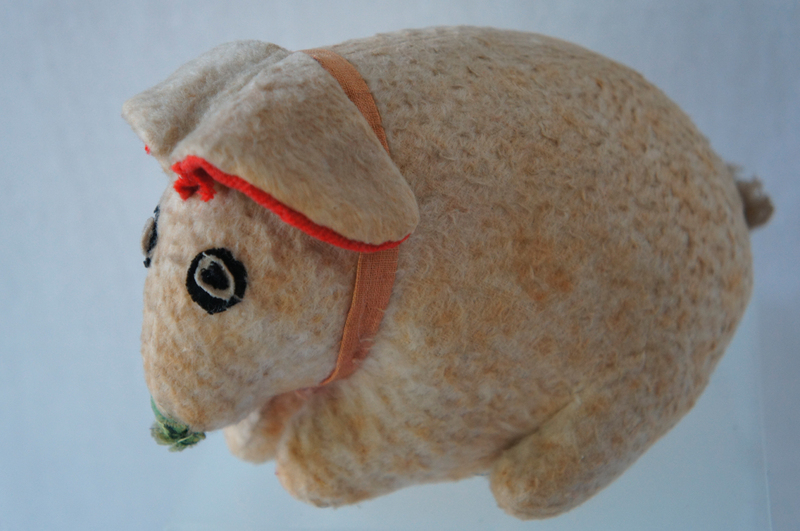 pat@pathatchantiques.com 978-456-8729 The best Nineteenth Century Flannel Rabbit with Lettuce in his mouth, red wool lined ears and sweet little tail. All original, very heavy and measuring 6 by 4 inches.